Question: Hi, My daughter is 10 and a half months old and wakes up at night regularly screaming and wanting to be picked up and held. This all started when she became a little ill a couple of weeks back and in order for her (and us) to get some sleep, we would take her in the bed. However, once she returned back to good/normal health i stopped taking her in the bed but now she wants to be held all the time. When i put her down in the cot i have to make sure she is in deep sleep or she simply wakes up and cries the minute her head touches the cot or on the way down from my arms. She is in a night time routine, whereby she has her dinner at 5:30 p.m., followed by bath at approximately 6 or 6.30 and ready for bed and last feed at approximately 6:45. She will go to sleep at around this time but recently she is waking up 2 hours later and not going down for an hour then waking up again two hours later etc. I am also still giving her a dream feed but more often than not she is awake for this as she will wake up crying again at around 11 p.m.
She will then wake up again at around 3-4 a.m. when i pick her up and wait for her to return to sleep by rocking her back and forth with her in my arms. sometimes she does and sometimes she doesn't, whereby when i have had enough i have in the past put her back in the cot and let her cry until she eventually falls asleep. This always makes me feel awful and teary myself. As you can imagine, this is exteremly tiring, especially as i am working and i am becoming more and more upset with myself for not being able to gt my daughter to have a good night's rest as well as being completely sleep deprived. I think it is also worth mentioning that my husband i live in a one bedroom flat and our daughter's cot is in our room as there is no other place to put it. I really hope you can help as i simply do not know what to do and am tired of feeling like a failure. 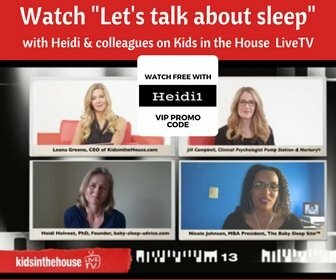 Heidi's Answer: Hi Rupalee, Please stop feeling like a failure right away: you did not do wrong at all. On the contrary you helped your daughter through the discomfort of illness in a loving way and in a way that assured you all much needed sleep. On top of that, you had the reflex to consistently not take her in bed anymore once you believed it was no longer necessary, very good idea again. And you have nice regular bedtimes set up, again very good. So no blame on you, nor blame on your daughter. She may have enjoyed being close to you so much during illness, we can't blame her for that. Or she may still feel a little uncomfortable. Or, even more likely, she may have entered a baby separation anxiety phase. Please read this page and try the tips to help. 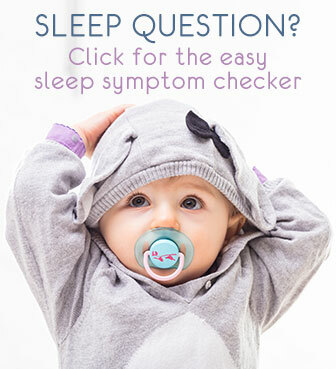 Also teething can casue these kinds of sleep troubles, use gentle teething remedies there. And then to help her wean from being held into deep sleep, your best bet is to go gradually. 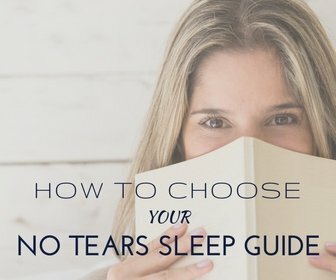 The self soothing page explains how and my No-Tears Self Soothing guide elaborates with the full 3-step program for lasting results. As you may know from the site, I do not advise crying it out. But if you notice that she will go back to sleep with just a few minutes of fussing (not being upset), it can just be her way to re-settle. But if she does get upset, and you feel awful and teary, there is no way you need to let her cry. Go with the gentle self soothing method, it may take some patience but you can get very good results within a week or two, results that last.